GraphTour Europe is over after a fun final event in London. There’s now a break of a month or so before the US version gets started in Washington D.C. on 7th May, quickly followed by San Francisco on 9th May. Don’t forget to register if either of those cities are nearby. It was a big week for the GRANDstack – we had a live coding session, a presentation at GraphTour London, and a new starter kit was created. I had fun graphing Brexit, Jennifer Reif and I wrote articles explaining how to load data into Neo4j, Ryan Boyd launched the expanded startup program, and more! 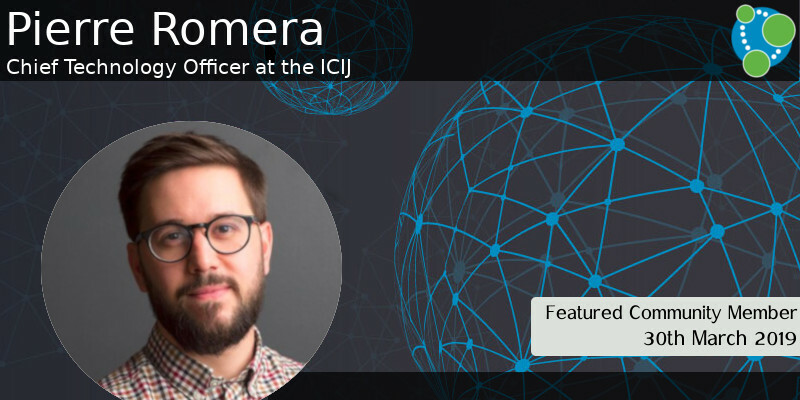 Our featured community member this week is Pierre Romera, Chief Technology Officer of the International Consortium of Investigative Journalists (ICIJ). ICIJ is a U.S.-based non-profit with a “global network of reporters and media organizations who work together to investigate the most important stories in the world” and “believe journalism can bring about positive change”. Pierre is extremely passionate about creating transformative tools to enable journalists to obtain salient knowledge within a wealth of unstructured data. Through technology, collaboration, and innovation, Pierre has worked on The Panama Papers, The Paradise Papers, and The West African Leak, which are some of the most-notable, impactful, and biggest leaks in history, exposing crime and corruption through investigative journalism. In the past, he co founded Journalism++, the Franco-German data journalism agency behind the Migrant Files, a project that won the European Press Prize in 2015 for Innovation. He is one of the pioneers of data journalism in France. Thank you, Pierre, from us and the hundreds of strengthened journalists in your network. This was a busy week for the GRANDstack. In this week’s Neo4j Online Meetup, Gavin Williams started with a blank project and live coded an application using the GRANDstack. Erik Rahm created grand-stack-seed – a seed application he created that has built in Auth and sample User GQL types/queries/mutations, to make it easy for front-end developers to quickly get up to speed with Neo4j and neo4j-graphql-js. 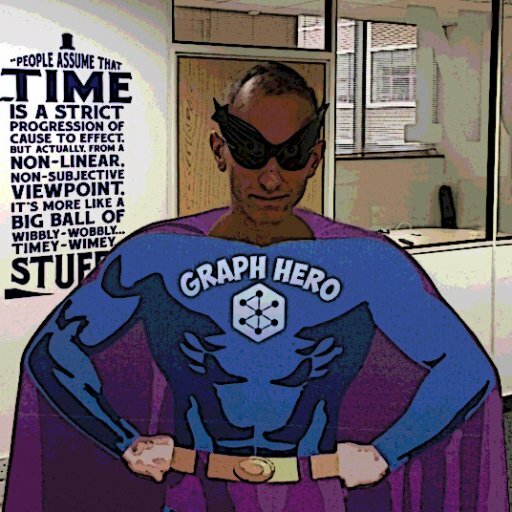 And Rhys Evans shared the slides of his GraphQL heavy presentation from GraphTour London. This week Ryan Boyd announced the expansion of the Neo4j Startup Program. The program has been expanded to support much larger organizations, with up to 50 employees, and we’ve also made it easier to apply to the program and manage your membership. 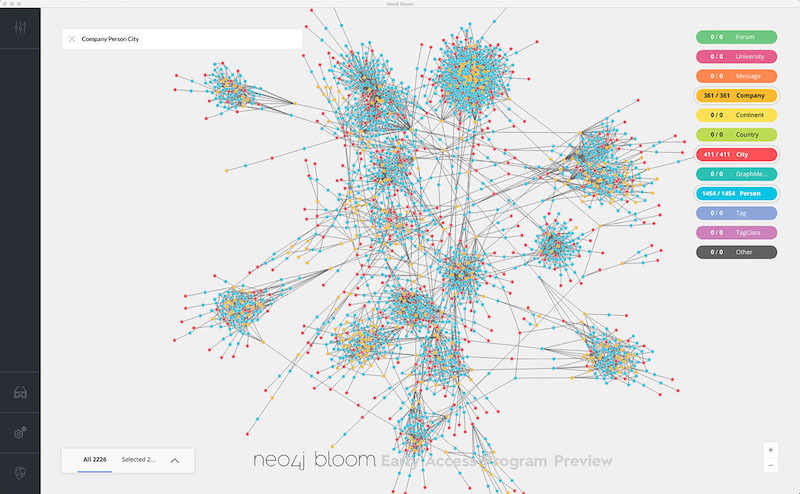 And the icing on the cake is that members of the program can now get a license for the Neo4j Bloom graph visualization. On Wednesday night UK MPs voted no to series of potential Brexit options. 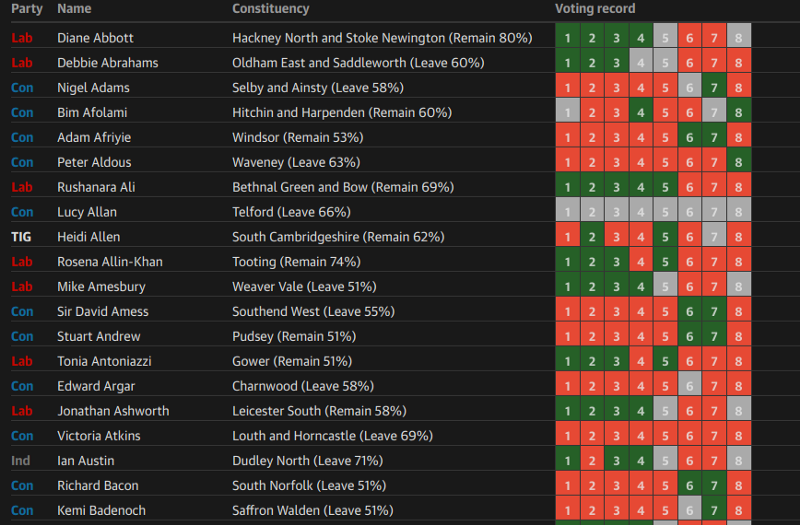 and afterwards I read a lot analysis of how different individuals and parties had votes on various websites. All the analysis seemed very tabular to me so I loaded the voting data into Neo4j and did a bit of graph analysis with Cypher, Neo4j Bloom, and the Graph Algorithms library. Joe Depeau gives us a lesson in drinking tea in his latest post, where he builds a tea knowledge graph containing tea, types and species of tea, where tea is grown, and more. Jennifer Reif shared the slides from her talk Get To Know The Real World: Discovering Connected Data with a Graph Database. I wrote a blog post showing how to go from raw data and a graph model to a working Neo4j Database using the Neo4j Import Tool. Karin announced the launch of the Neo4j Speaker Program. If you’re a graph enthusiast, and are willing and eager to share your knowledge and experiences, this one’s for you. 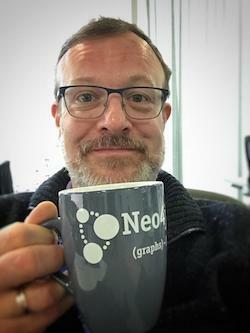 Tony Hammond has written a blog post in which he walks through a simple application for playing around with Neo4j property graphs using Elixir. Jennifer Reif has been refreshing and expanding the content on the Neo4j Knowledge Base and Developer Pages, and this week explains how to load CSV files into Neo4j across different environments. 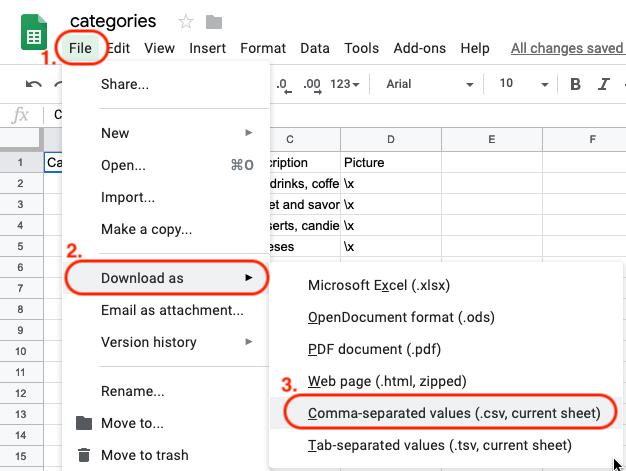 If your files are stored locally, on Dropbox, on Google Drive, on GitHub, or just online, Jennifer’s got you covered.